Even though I’ve been to Moussa Castle several times, I had no idea that the man who built it was still alive and for some reason never had the curiosity to look him up. 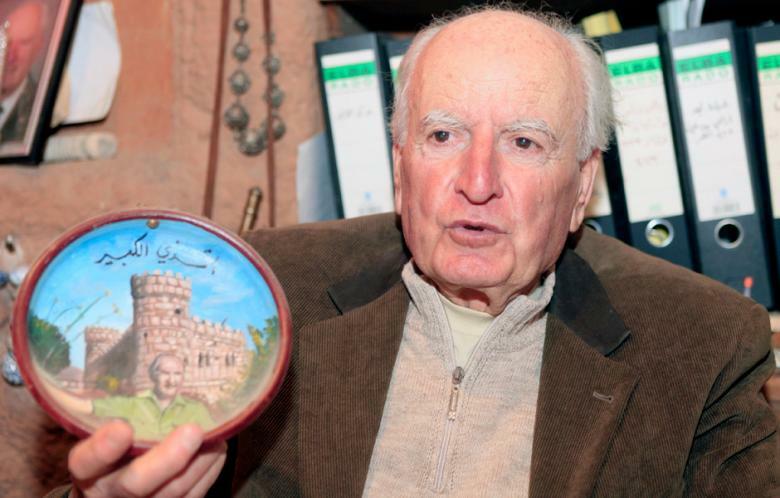 Unfortunately, Moussa Maamari passed away yesterday leaving behind a castle that has become a national landmark and one of most popular touristic sites in the Shouf area and all of Lebanon. Where is Moussa Castle located? 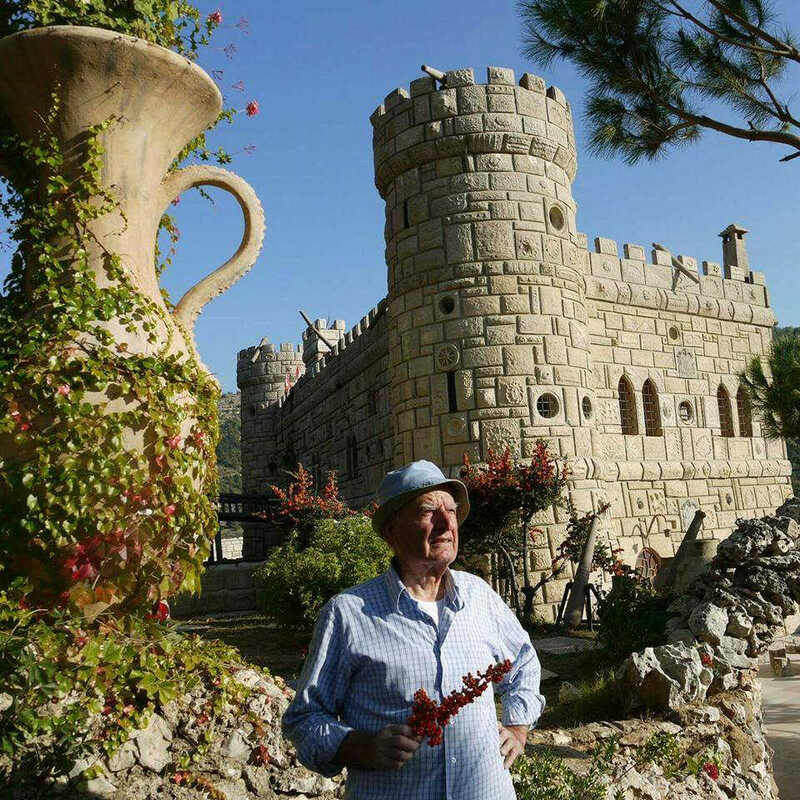 The castle is situated in the Shouf mountains between Deir el-Qamar and Beiteddine at an altitude of 900m. 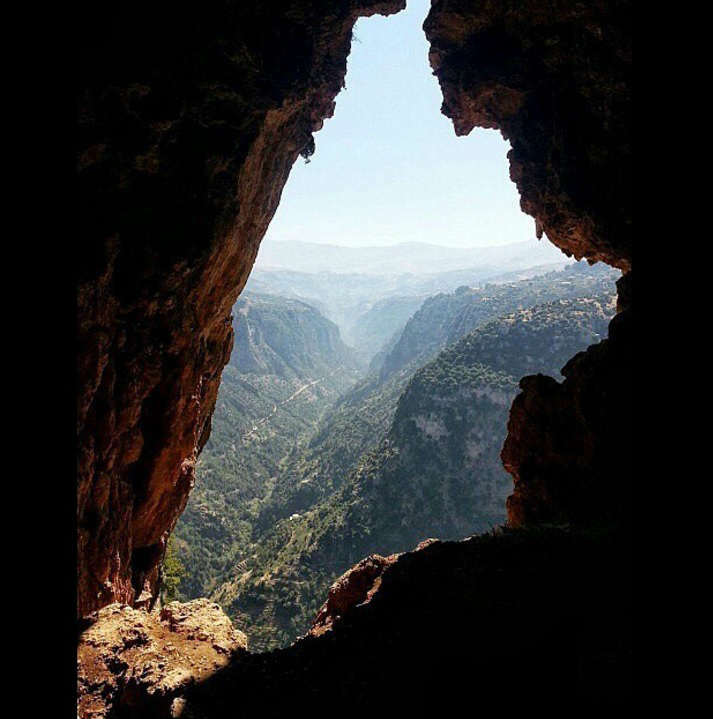 It is located on the side of the road and is easily visible on your way up to the Shouf area. The story behind the Moussa Castle is quite an amazing one. Moussa Maamari was born in Al-Fekha near Baalbeck in 1930 and later on continued his studies in the coastal city of Tartous, and that’s where his life journey began. He fell in love at school with a girl named Sayde who was from an upper-class family. Upon confessing his love to Sayde, she rejected him and told him “When you own a palace, you can talk to me.” Later, in an art class, the teacher asked his students to draw a bird on a tree. But Maamari did not do that. Instead, he drew the palace that he had promised Sayde. Maamari ended up getting beaten by the instructor who thought he was being mocked, and that led Maamari to drop school, leave his house and head from Tartous to Sidon on foot with the torn pieces of his palace drawing and a lock of Sayde’s hair. There he joined his uncle in renovating Sidon’s castle and gradually mastered the craft of renovating ancient structures, got married and was finally able to put his plan into action in 1962 after acquiring a plot of land and receiving a building permit. Moussa moved over 6,000 huge rocks to the site, some of them weighing up to 150kg and began receiving visitors four years later. 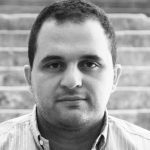 Some of his most notable visitors were President Camille Chamoun who granted Mamaari the Lebanese citizenship and assisted him financially and Kamal Jumblatt who also helped him secure a substantial grant. Moussa Castle was officially open to visitors and the public in 1967, after 21,900 days and 394,200 hours of work. In 2009, after tracking his lost love Sayde for years, she visited the Castle without knowing it was Moussa who built it and was in tears when she realized her mistake and found out the truth. Check out this full interview with Moussa Maamari [here]. 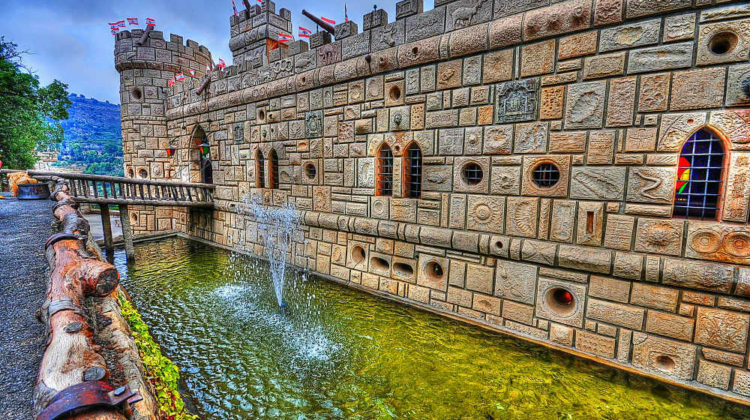 The castle is gorgeous and has a museum inside, which displays an impressive collection of weapons and artifacts showing life of the Lebanese in the past. 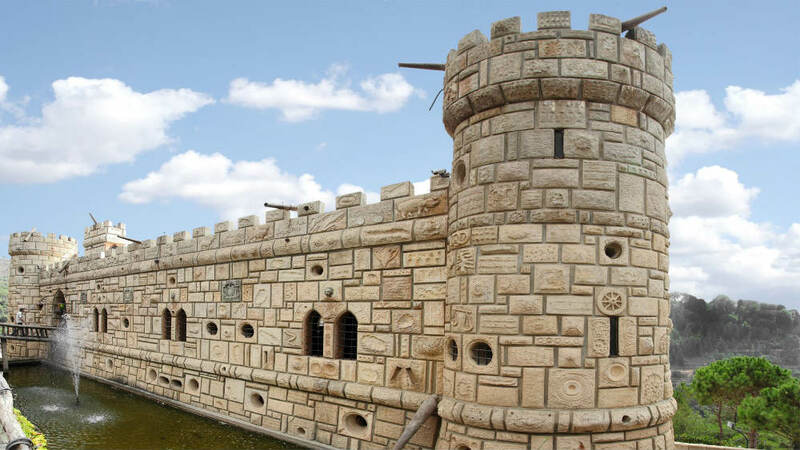 It looks exactly like a true medieval building with a moat, drawbridge, and medieval-style ramparts, add to that Moussa’s gun collection, daggers, swords and Bedouin jewelry and wax figures. 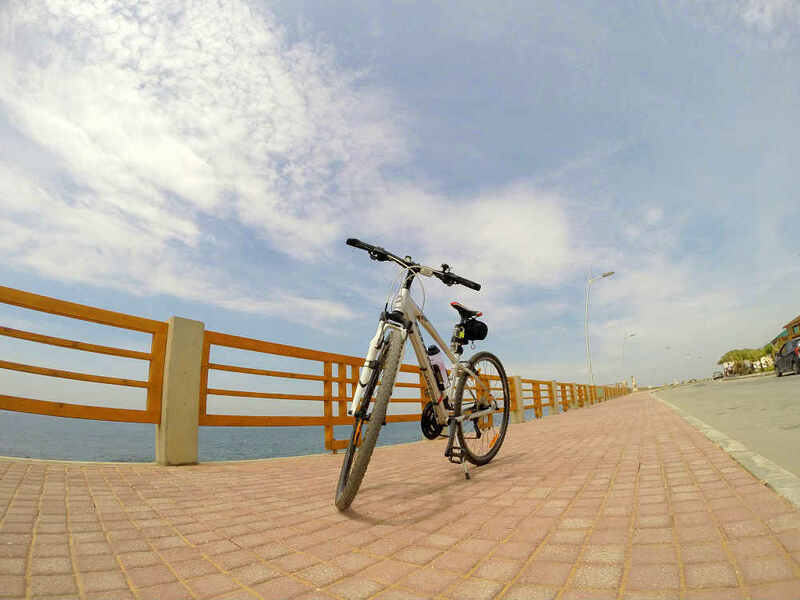 Moussa wishes that someday his story would be turned into a movie, and he has written a book “The dream of my life” that summarizes his journey.